I haven’t had the chance to read Mark A. Mathews’ book Terroir and Other Myths of Winegrowing. But if Tom Wark’s summary of the argument is accurate I’m unimpressed. 2. There are no flavor molecules transmitted from soil to the vine or berries. 3. 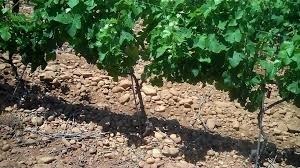 The soil’s drainage ability is the main influence that soil-type has on wine flavor. But I don’t know anyone who would deny these claims. None are controversial and defenders of the importance of terroir can accept them all. More importantly, this argument ignores crucial dimensions of terroir. Weather and climate are part of the terroir of a region or vineyard; surely Mathews doesn’t think these are irrelevant. Features of the landscape such as elevation, aspect to the sun, proximity to other plant life, and the presence of native yeasts and microbes also influence wine flavor and are all part of terroir. Most importantly, the decision regarding which varietal (and clone) to plant in a particular location is made in light of all of these factors and is thus part of the concept. Mathews seems to think the term applies only to soil composition but most people use the term more broadly to include all these factors. No doubt winemaking practices play an large role in determining wine flavors as well. In fact, the vast majority of wines exhibit little influence of terroir despite what the marketing brochures say. If they are blends of grapes from multiple vineyards or regions or if they are produced using aggressive winemaking techniques the influence of their geographical site is muted. But for winemakers who take care to preserve the unique expression of their vineyard sites it is surely misleading to call it a myth.